You are in London on one of their famous fog days. Excited about a full day of sight-seeing, you bounce out the front door of the hotel with directions to your first attraction in hand from the concierge. Pea soup. You tentatively proceed left as your directions indicate. The place where you are supposed to catch your bus is only three blocks from the hotel. How hard can it be? You should be able to make it that far, shouldn’t you? Watch for a used book shop right across from the bus stop. How are you supposed to see a book store sign when you can’t see your hand at your side? Oh, here’s a bus stop but is this the right one? He said be careful that you don’t take the wrong bus; there are two stops close together and the wrong one lands you on the opposite side of the city. In this fog how would you find your way back? What you really need, you keep thinking, is for this fog to clear! In this introduction to fasting, I’m going to use the idea of fog to help you understand some simple things. Fasting is a great big topic but we are only going to explore a few of the basics at this point. Fasting is withholding food on purpose for a period of time. Many people fast for dietary or other reasons but we are just going to discuss fasting for spiritual reasons. 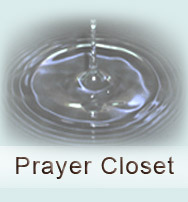 If you have never fasted, now is a good time to add this prayer type to your tool box. Why in the world does God call us to fasting? The Lord assumes we will fast on a regular basis. In Matthew 6:16, Jesus says; “And WHENEVER you fast…” He does not say “if you fast” but “whenever.” He takes for granted that everyone who has a relationship with the Father is going to fast at times. In the paragraph above I said that fasting is withholding food “on purpose” for a period of time. “Purpose” can be compared to the sight-seeing destination in our London story above. We want to get somewhere; we are headed to a particular place. We are choosing to withhold food for a reason, and we are doing it intentionally. We have our directions in hand which is God’s Word. We know the directions are correct because they were given to us by one who really knows his stuff. In London that may be the concierge of our hotel but in our life that is God Almighty. But now we have this fog to contend with. Part of the reason God calls us to fasting is to clear the fog. There is more to it than that but for today that is the reason we will explore. A period of fasting can clear the spiritual atmosphere around us and help us see many things more clearly. It can help us see the most effective way to pray about a given situation. It can help us see roots of things. It can reveal obstacles in our path. It humbles us and makes us hungry for God instead of food. It can prepare us for a coming event. Note: This was the case with Jesus in the beginning of his ministry. Immediately after he was baptized by his cousin, John the Baptist, he went alone out into the wilderness and fasted 40 days. He was getting ready for the most important ministry in the history of the world. When we are fasting, we are deliberately setting aside time to seek God and his view of things rather than indulge our flesh which often seems to “fog” us up. Fasting is not designed to coerce God into doing something for us by an attitude that says; “Look how serious I am God; look how much I sacrificed by not eating today? You better give me those answers I’m looking for; I deserve it.” Rather, fasting humbles us, causes us to see our spiritual nakedness and then empowers us to effectively pursue God’s best in the matter we have before him. I have a friend who partners with me in fasting several times a year. Usually we fast for our children but sometimes for other reasons. On one particular occasion I remember, we both seemed to sense that it was time to call a fast because we were both battling the same issue – discouragement and we wanted to bring it before the Lord. What was going on and what should we do about it? We couldn’t see very clearly at all. We decided on the day and a time to get together to pray before the fast was over. I find that praying during the time you would be eating a meal is a very effective practical technique. It makes you feel like you are doing something when by nature fasting is NOT doing something. For those of us who are “DO” oriented like me, this works very well. So in this case we were going to be praying together at my house during dinner time. I felt nothing much happened during the day. I didn’t feel particularly spiritual or in tune with God. I didn’t have a lot of time to pray or even give God a second thought because of the way my workday went. It was not one of those “in the groove” fasting experiences and I felt rather disappointed. I was looking forward to our joint prayer time with the hopes that my friend had a better day of it than me. I was hoping she had heard from God because I was sure I hadn’t. And I felt very hungry and grumpy. Well no, that didn’t work. She had the same empty kind of day I had. So we prayed, but not very enthusiastically. I thought, “Let’s pray quick and eat” because we were planning to break our fast together when the prayer time was over. During the prayer I had a reoccurring thought but it wasn’t very strong and I pretty much ignored it. As we finished, we just sat silently for awhile and I felt that we had no idea if this day amounted to a hill of beans in the spiritual world. The fog had cleared. God was giving us some insight and he was giving us a strategy. I don’t think we liked the idea of it at first because it involved some work on our part but it was the right strategy and it changed things. I remember feeling that the spiritual air had cleared. The fact that we knew we had actually heard from God dissipated some of the discouragement right off the bat. Even the next morning as I got out of bed I could feel that something had really changed. As time went along we continued to see a change for the positive in our lives rooted in our day of fasting together. Why fast? Fasting is not for God’s benefit but for ours. It helps us get serious about an issue by clearing the fog surrounding it so we can see and hear God’s heart on the matter. The Lord knows how foggy things can be down here on earth so he has given us fasting as a gift. Now get out your directions and start heading up the street toward your first destination. You have a big day ahead of you – one that is crystal clear! Wow Barbara! This sure hits the nail right on the head! I needed this today … perfect timing. God has been dealing with me about this very thing. Sometimes just praying is not enough. We must clear out the fog … which i seem to be full of! The best way to do that is to fast and pray.